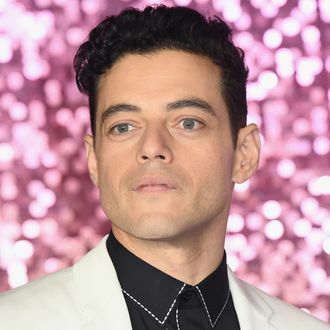 You won’t be able to see Rami Malek’s turn as Freddie Mercury in Bohemian Rhapsody until the movie arrives in theaters next week. But if you’ve seen the trailers you’ve seen the very specific Freddie Mercury teeth he wore to mimic the Queen frontman’s overbite. Malek had to get accustomed to singing with them in, but eventually grew to love them enough that he not held onto the teeth, he had them plated in gold. “I kept the teeth,” he told The New Yorker﻿. “Well, I had the teeth cast in gold. It is the most ostentatious thing I have probably ever done, and, in the spirit of Freddie, being as outlandish as I could, I said, ‘What would be more him than casting these in gold?’” As far as wrap gifts go, it seems like a pretty good one.